Once you've made your first batch, let us all know so we can collectively celebrate your success. And don't forget to join Team Yogurt via the form in our sidebar. You'll get a free monthly e-newsletter with links to recipes for using all your homemade (or store-bought -- we don't judge) yogurt! 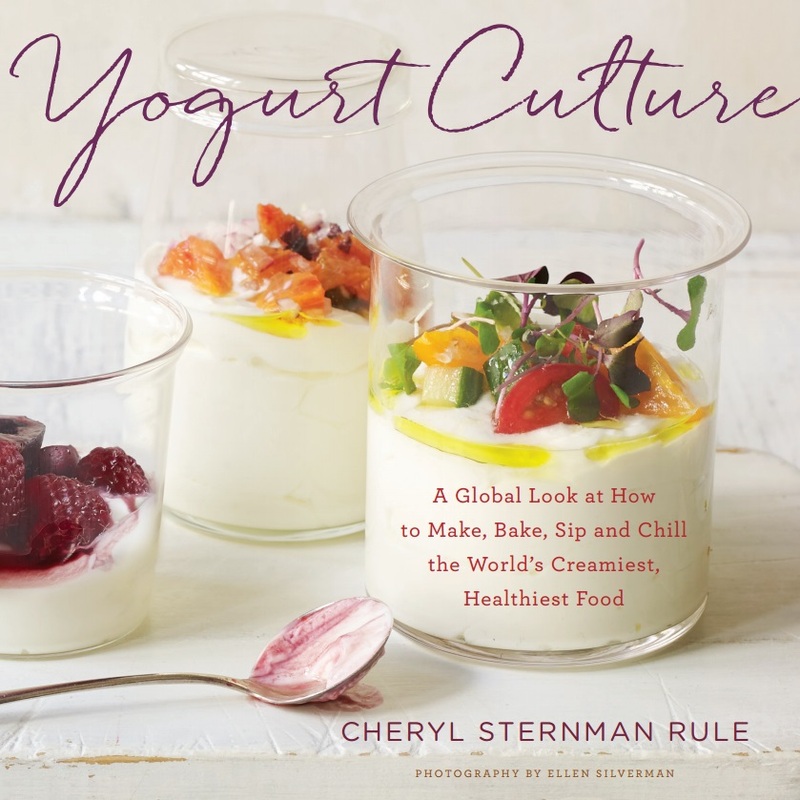 Excerpted from Yogurt Culture © 2015 by Cheryl Sternman Rule. Reproduced by permission of Houghton Mifflin Harcourt. All rights reserved. Despite the length of the instructions that follow, making yogurt isn’t hard. People have been doing it for thousands of years. 1. HEAT THE MILK TO 180°F. 2. COOL THE MILK TO 115°F. 3. INOCULATE WITH THE STARTER CULTURE. 4. INCUBATE FOR SEVERAL HOURS, UNTIL THICK. Start by using ½ gallon of milk and 2 tablespoons yogurt (the starter). Once you get the hang of the method and if you find yourself craving a larger batch, scale up to 1 gallon of milk and ¼ cup starter. STEP 1: HEAT THE MILK TO 180°F. Rub an ice cube along the entire inside of the pot or Dutch oven. (The ice helps prevent the milk from adhering to the pot, easing cleanup.) Pour in the milk. Affix a candy thermometer (if using) to the side of the pot (otherwise, test the temperatures with an instant-read thermometer) and turn the heat to medium-high. Slowly bring the milk up to 180°F, without stirring. When you reach 180°F, turn the heat way down and maintain the milk at 180°F (or a few degrees higher) for 5 full minutes. This “hold” creates naturally thicker yogurt without the need for milk powders or thickeners. Remove the pot from the heat. Use the ladle to lift off any skin that formed. STEP 2: COOL THE MILK TO 115°F. Allow the milk to cool down to 115°F, stirring gently to release steam. To accelerate cooling, fill the sink partway with lots of ice and some cold water, then set your pot carefully in the sink. Stir occasionally and check the thermometer frequently; if the milk dips more than a few degrees below 115°F, you’ll have to rewarm it. STEP 3: INOCULATE WITH THE STARTER CULTURE. When your milk has reached 115°F, place the plain yogurt (the starter) in a medium bowl or glass measuring cup, using 2 tablespoons yogurt for ½ gallon milk or ¼ cup yogurt for a gallon of milk. Ladle in roughly 1 cup of the warm milk and whisk to combine. (This is called tempering.) Scrape the tempered yogurt back into the pot. Remove the thermometer (if using a clip-on) and cover the pot. STEP 4: INCUBATE FOR SEVERAL HOURS, UNTIL THICK. The inoculated milk must be kept warm (ideally between 100°F and 112°F) throughout incubation, though slightly cooler temperatures should work. Use your oven. Keep the oven’s heat off but flip on the oven light. Place the covered pot in the oven and drape the top with a kitchen towel. (Don’t let the towel touch the light.) If your climate is especially cold, wrap the pot in a thicker towel. I always stick a post-it note on my oven door so I know there’s yogurt in there and don’t accidentally turn the oven on. Resist the temptation to open the oven during incubation. Depending on your climate and the oven’s insulation, the modest heat generated by the light is, in most cases, sufficient to incubate your yogurt in 6 to 12 hours, but it may take a bit longer. The longer you incubate the yogurt, the tarter it will be. Find a warm spot in your home. If you’ve got a warm spot in the kitchen or elsewhere in your home—near (but not directly on top of ) a heating vent, or by a sunny and draft-free window—you can wrap your lidded pot with a thick towel and incubate it there. Depending on the warmth of your spot and the ambient temperature of your home, your yogurt should be ready in 6 to 12 hours, but it may take a bit longer. How do I know when my yogurt is ready? Regardless of incubation method, your yogurt is ready when it’s thick and looks like yogurt. It’s really that simple. It should be set and wobble only slightly when you jiggle the pot. When you slip a clean spoon into the yogurt and push some gently aside, some watery whey will fill in the wake. This is perfectly normal, as is a layer of cloudy whey that may (in some cases) float on top. Don’t taste your yogurt yet. Yogurt will thicken further and, in my opinion, develop optimal flavor only after chilling. Cover and refrigerate for at least 6 hours, or overnight, before eating or using in recipes. Most homemade yogurt will be a bit lumpy. To smooth it out, simply whisk gently before eating. Store, covered, in the refrigerator. For optimal texture and flavor, consume within 7 to 10 days.